The prologue lays it out for the reader. Paul Kalanithi, an accomplished neurosurgical resident, in his final year of training, is in the radiology suite- where he has been countless times before. But this time he is not wearing his usual scrubs or white coat, but is in a hospital gown, looking at CT scan images of cancer widely spread. This time he was the patient. Paul Kalanithi, was the son of hard-working Indian immigrants in the US. He grew up in Kingman, Arizona and did not envision himself pursuing the field of medicine, like his father and brother. Instead he pursued his love for the English language and graduated from Stanford University with a degree in English Literature and Human Biology. He later went on to earn an MPhil in History and Philosophy of Science and Medicine from University of Cambridge. But he was still looking for an area where these disciplines intersected, which is when he applied for medical school. In the first part of the book Kalanithi takes us on his journey from becoming a medical student at Yale, to a chief resident at Stanford. We read of his first cadavers, his understanding of the doctor-patient relationship, the first birth and the first death he witnessed. Kalanithi put in the long grueling hours as expected from residents. The exhaustion, the paperwork, the responsibility- all multiplied ten folds as he gained invaluable experience and skill sets. He was well-respected among his peers and at the pinnacle of his career. The second part of the book picks up from when he was in the radiology suite looking at his scans- in the prologue. He writes about his life as a patient, his struggles as he undergoes treatment, and the joy of becoming a father. It is a time when this incurable illness is taking a toll on his body and his desire to still push forward with life. That morning, I made a decision: I would push myself to return to the OR. Why? Because I could. Because that’s who I was. Because I would have to learn to live in a different way, seeing death as an imposing itinerant visitor but knowing that even if I’m dying, until I actually die, I am still living. Kalanithi’s journey facing mortality as a doctor and then a patient makes it profoundly moving. As you read this book, you know the inevitable. Yet the story of his bravery, tremendous ambition and reflections on life in the face of death make it a story you want to hold on to. A sincere, insightful and poignant read about facing death with integrity. It is powerful in emotion with an underlying sadness, yet life-affirming as you read through Kalanithi’s journey. Paul Kalanithi died on March 9th 2015 at age 37. His wife Lucy wrote the epilogue to his book which is dedicated to their baby daughter Cady. If you pick up a book next, make it this one. 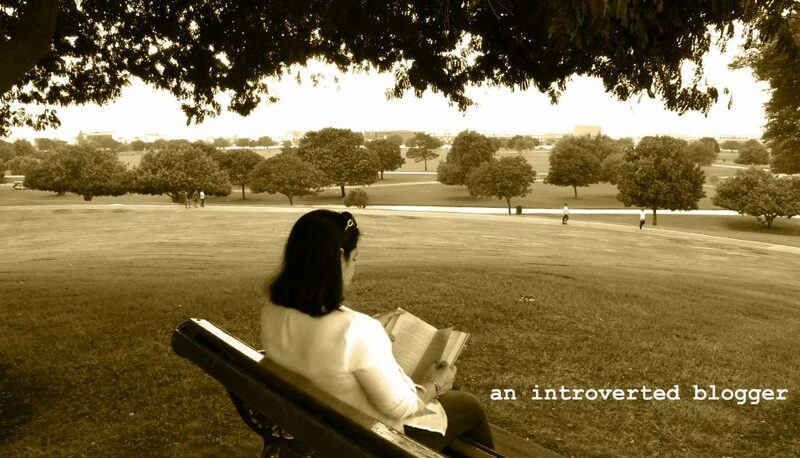 This entry was posted in Reviews and tagged best-seller, book, book review, bookblogger, death, doctor, life, life-affirming, patient, When Breath Becomes Air by An Introverted blogger. Bookmark the permalink. This looks really good. It looks like an ugly cryer. May need to just keep this one on the shelf for a bit. sounds interesting. i think i will grab a copy & read it when i”m on vacation in a few weeks. Why oh why did I pick up this book? Glad you picked it up! I too read it without letting go and even though I knew how it would end, I wanted to take in every moment before. It is one of those books to read at least once. Sounds interesting ! Will definitely gets my hands on this one. My kind of book Nad! Sounds amazing! Pls pass on!! Looks interesting! Thanks for recommending. I’ll see if they have it in the ASD library next time I sub. And I promise to give your recommended book a try!